Tip #1 - Keep all your bills current and pay on time! Every late payment damages your credit score - in fact according to the credit bureaus, payment histories are the top factor in credit scores. Your credit score directly impacts the interest rate on your future mortgage loan. The more late payments and delinquencies you have on your credit report, the higher your mortgage interest rate. The higher your interest rate, the higher your monthly mortgage payment. And the higher your monthly payment, the less home you can afford to purchase. If you do have credit issues, please find a local licensed mortgage originator to assist. Unlike "Big Banks," licensed mortgage professionals are much more likely to help get you on the right track, and be upfront and "direct" about the entire process. Why? Because mortgages are their primary business - and they must work to earn your business. Tip #2 - Save for closing costs & unforeseen expenses. Saving is always smart - especially when buying a home. 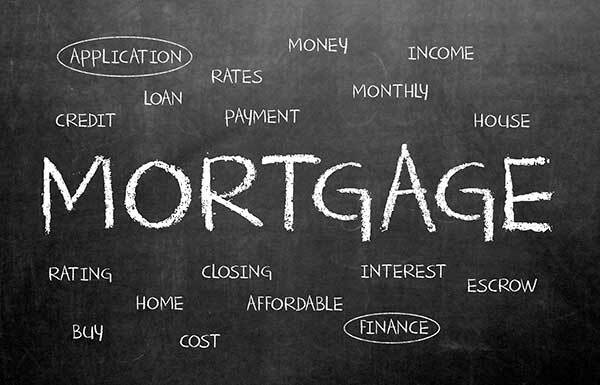 Mortgage plans are numerous, and some lenders offer the option of rolling closing costs into your mortgage. However, doing so means you will be paying interest on those costs. Instead, start saving for the fees and mortgage closing costs as soon as possible. Closing costs frequently run three to six percent of the loan amount depending in several loan program variables. For example, if you are planning to obtain a $300,000 mortgage, you may need to save $9,000 or more to cover closing costs. Sometimes sellers will provide closing cost assistance as part of the Purchase & Sale Agreement - but know that in a "Seller's Market" that's much more unlikely; and in a multiple offers situation, asking for closing costs could easily cause you to lose the deal. Tip #3 - Payoff credit card debt - but keep accounts open! If you have a significant amount in savings for a down payment and closing costs, good for you! You may want to use some of those funds to pay-off your high interest debt, such as credit cards (but be sure to keep the accounts open). Yes, this will leave you with less for a down payment. However, because mortgage interest is tax deductible, and your interest rate will likely be lower than what you are paying on those credit cards, you could actually end up saving more. If you do have credit card debt, but also have savings, be sure to discuss this with your mortgage consultant before paying everything off in case paying off the debt would deplete your downpayment savings. Tip #4 - Don't make large purchases prior to applying for a mortgage. This is a big one - and it trips-up many home buyers, no matter their price range. Making big purchase prior to buying a home is often a mistake - unless one truly has ample savings. Don't take an expensive vacation on your credit cards. Don't finance a new car. Don't buy half a house full of new furniture. This sort of activity serves as a red light for mortgage underwriters. Big purchases take money away from your down payment and closing costs savings. When financed, they also increase your debt-to-income ratio - not a good thing when you want to secure the best credit score and a low mortgage interest rate. Tip #5 - Don't quit your job or change careers! As the economy improves, many professionals who previously felt stuck in their jobs are choosing to move to greener pastures. If you are preparing to buy a home, it's best to stay with your current employer. Lenders like to see stability, and the more years you have within the same company, the more stable you appear. You can start a job search after you have closed on your new home. Unless you are moving to a different city, NEVER change jobs just prior to applying for a mortgage. Tip #7 - Separate your housing wants from the needs. What you may want in your new home may differ from what you actually need. Spend some time prioritizing your housing needs before getting serious about buying a home. If you are unable to find homes within your budget that have all your "wants," you may still find one that covers the "needs." Your real estate agent can be an invaluable tool in this process. And remember when discussing, that their constructive advice is meant to be helpful. Despite popular belief, most agents will not knowingly suggest their clients buy a home they cannot comfortably afford. Tip #8 - Decide how much house you can afford. Being realistic about affordability can ultimately save a lot of potential trouble. "Play house" for a few months before mortgage application. If you think you will be comfortable with a $1200 mortgage payment, but you are currently paying $600 per month in rent, start setting aside the difference today. Not only will this allow you will build your down payment savings, but it will give you time to experiencing the real life effects on your budget. If that $1200 payment eats up too much of your disposable income, you will know you need to choose a less expensive home. Tip #10 - Always get pre-approved before starting the house hunt. You've heard it once - and you'll hear it again. Before looking at homes, always get pre-approved with a lender to see how much you can afford. A pre-approval differs from a pre-qualification. Whereas a pre-qualification just results in an estimate of the maximum mortgage for which you may qualify, and very often a computer generated letter, a pre-approval involves actual underwriting steps. Your lender will pull your credit report and verify your debt-to-income ratio, putting you that much closer to locking in an actual loan once you find a prospective home. Want more information. Read one of our most popular posts... What NOT to do Before Applying for a Mortgage.